Tourico Holidays is making waves with its own rock music cruise. 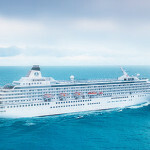 The cruise “Rockaholica” is to be the first of many music festival cruises, and the travel wholesaler has charted the 5-star Carnival Ecstasy for the occasion. The cruise program will be headlined by the famous rock band KoRn along with other top acts like P.O.D., Hoobastank, and Fuel. 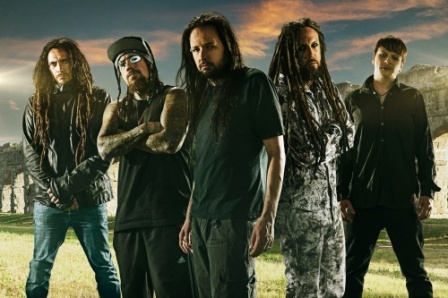 “We’re thrilled to be the headliner for the first Rockaholica”, said Jonathan Davis, the lead singer from Korn. “We’re looking forward to having a great time with our fans.” During the cruise, guests will be able to rock out to 10 or more bands performing up to 30 concerts. 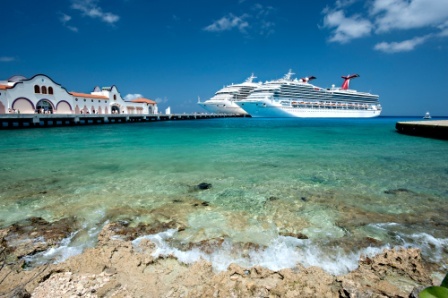 The 5-day cruise will set sail from Miami on September 29, 2014 and travel to Key West und Mexico’s Cozumel Island before returning to Miami. Guests can enjoy the Carnival Ecstasy’s many luxuries while on board, which include two pools bars, ten bars and lounges, a casino, a nightclub, a mini-golf course, water slides, complimentary 24-hour room service, and much more. In addition, exclusive onshore events await travelers in Key West and Cozumel. Rockaholica guests will have numerous chances for a photo-op with their favorite bands, and other exclusive events come together to make this much more than your run-of-the-mill rock festival, like the chance to be your own rock star by singing karaoke backed up by a live band. In addition, one band will be chosen to join the lineup through the worldwide “Rockaholica Anonymous” competition. Rock bands wishing to compete are invited to upload one of their singles to the Rockaholica Facebook page, where fans can vote for their favorite group. The band with the most votes will win a spot in the Rockaholica program and be able to perform in front of a huge audience. Travel costs for all band members to and from Miami are also included in the prize. 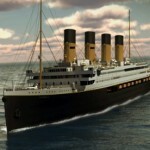 For more information about the rock cruise, event program, and booking options, please visit www.rockaholicacruise.com.